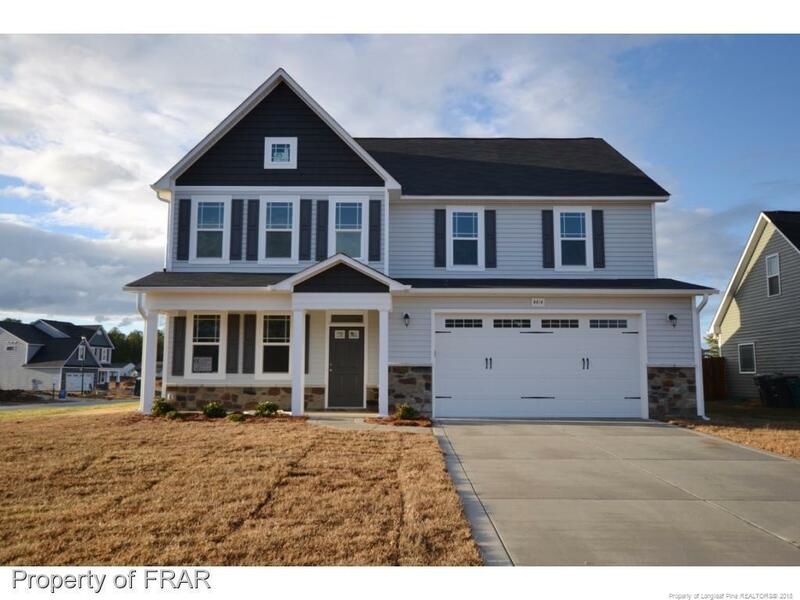 New construction home with an open plan with an office/formal living with French doors, large family rm, kitchen with granite, island, pantry & breakfast nook & a large sunroom on the 1st floor. All the bedrooms located on the 2nd floor to include the laundry room. All bedrooms have WIC's. Huge master suite with a glamour bath & huge WIC. Great floor plan for a growing family! Minutes away from the Hope Mills Public Library, rec center, shopping & Hope Mills schools!